By joining this challenge, you're going to walk in the shoes of Hauwa to raise awareness and funds for COHI. For one day of your choosing, you will eat her local diet and share your food images on social media, using #inhershoesCOHI. We welcome you to also blog about your experience. Find easy downloadable social media guidelines and your shopping list below! 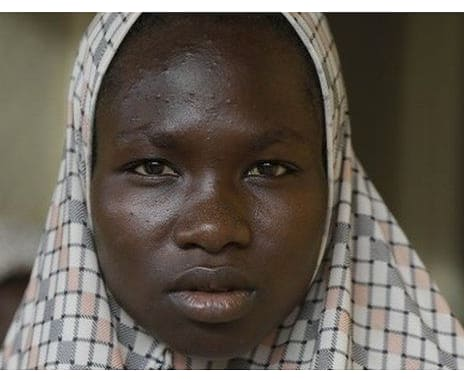 Hauwa was abducted by Boko Haram while attending a boarding school in Chibok. She was released last year with 85 other women. She is currently experiencing PTSD from her experiences during the kidnapping which included sexual assault and beatings. In April 2014, more than 200 girls were kidnapped from a boarding school in Nigeria. Four years later, more than 100 of them have been freed. Upon release from Boko Haram, the women spent weeks in the government’s custody, questioned for information that could help find their still-missing classmates — and to satisfy officials that they had not grown loyal to Boko Haram. Security agents warned the young women not to talk about their time with militants. Forget about the past and move forward, they were told.